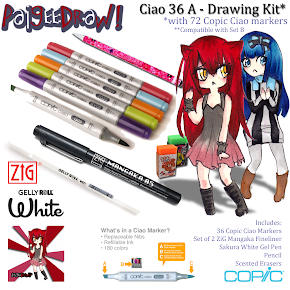 PaigeeDraw: Copic Sketch Markers - Lowest prices on PaigeeDraw! 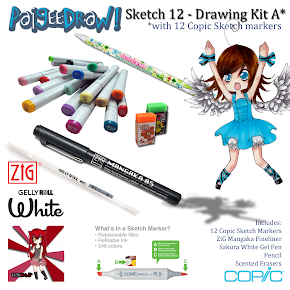 Copic Sketch Markers - Lowest prices on PaigeeDraw! 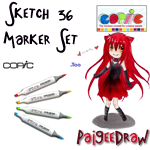 PaigeeDraw is about creating and sharing Manga Drawings. Over 130,000 members of the PaigeeDraw facebook Community share their artwork with other members, comment, discuss, and get advice from each other. 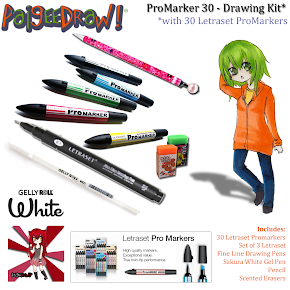 Copic Markers are the marker of choice for many Manga Artists! They come in 346 Colors, have replaceable Nibs and have refillable ink! Sketch and Ciao markers are double sided. They have a medium broad nib for thick strokes, and a Super Brush nib for variable-width strokes! 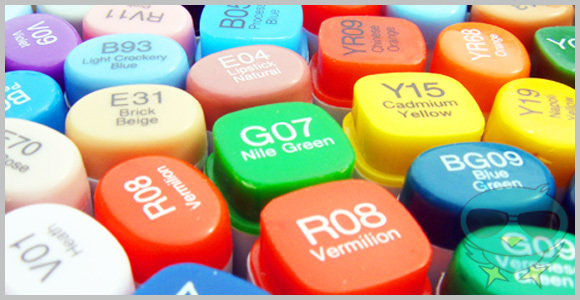 Copic Markers are alcohol based ink which are permanent and are non-toxic and dries acid free. 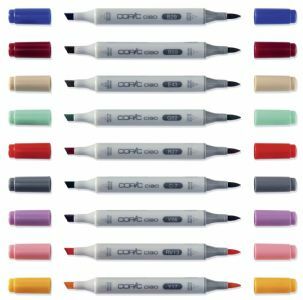 Copic Sketch markers are compatible with the Copic Airbrush System! 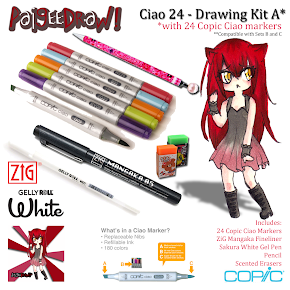 Copic Sketch, Ciao and Wide markers can be quite expensive at the local specialty art store. 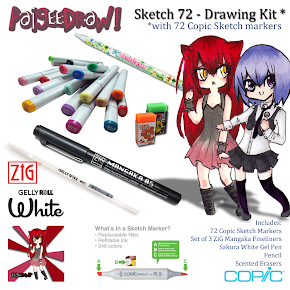 We started the PaigeeDraw Online Store so that our members could get Copic Markers for the lowest prices on the internet! Our online store is almost 1/2 price compared to some specialty art stores! They are being sold at virtually wholesale prices! Have more contests with great prizes! Keep providing a great community on facebook to showcase young manga artists! 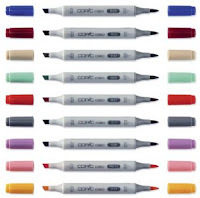 When you buy Copic Markers at PaigeeDraw, you are also getting the best prices! 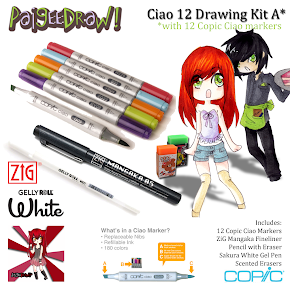 Thanks for your continued support of PaigeeDraw, the PaigeeDraw, ChibiDraw and PaigeeDraw Boys Communities, and the PaigeeDraw Online Store!